Somerzby Mansion large rabbit run. Stand alone run or attach to your hutch. 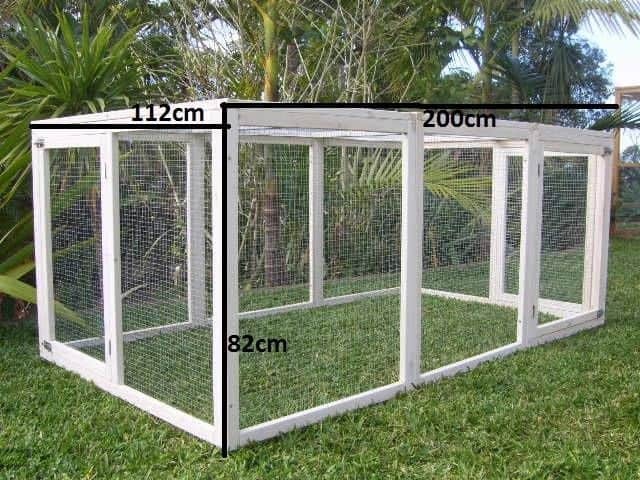 Let your rabbits roam outside in the safety of our mesh enclosed run. 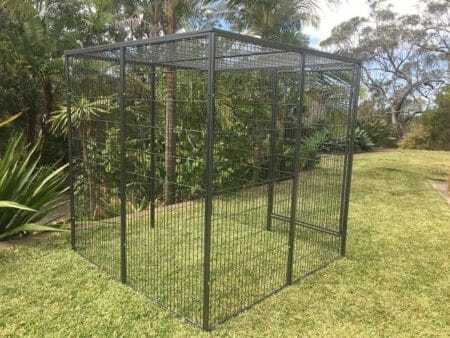 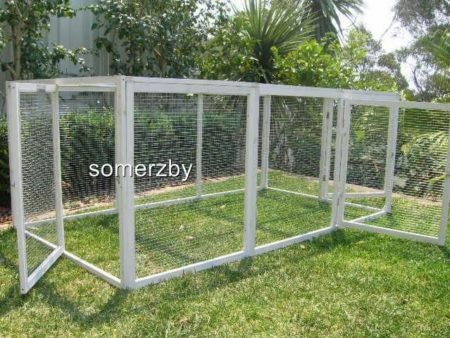 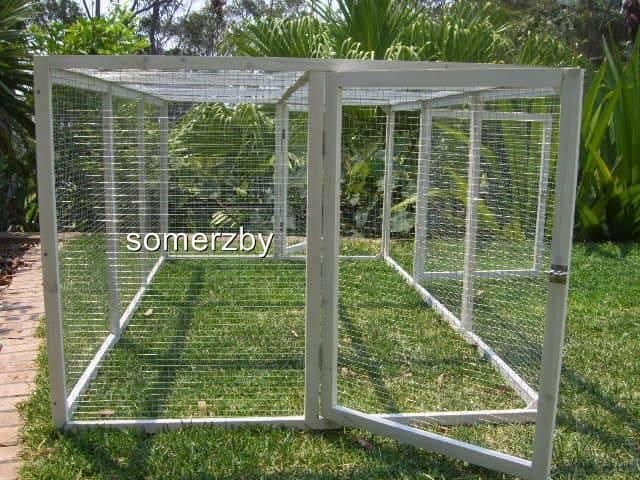 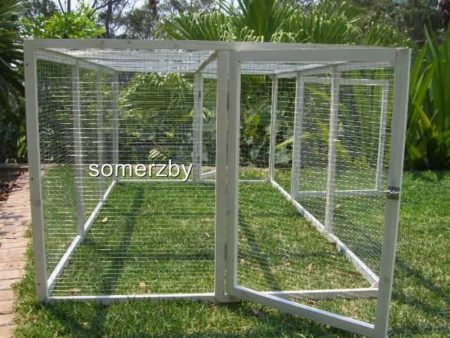 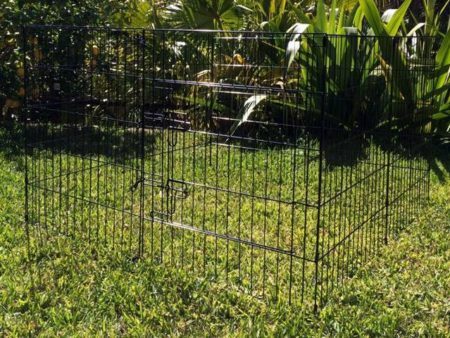 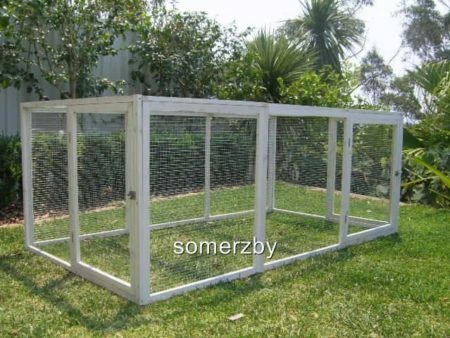 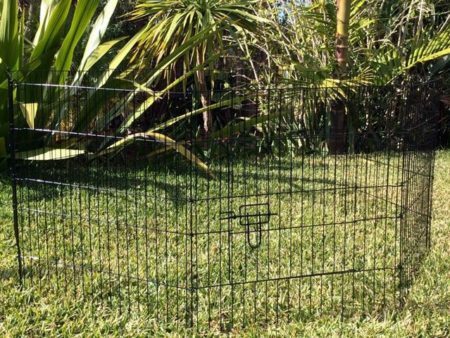 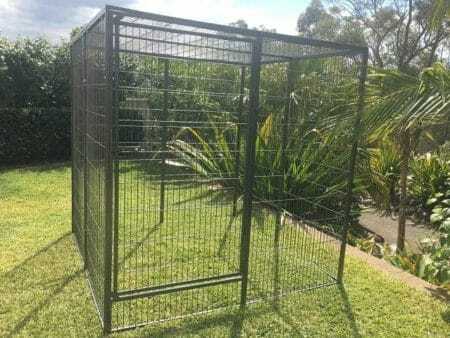 Featuring galvanised mesh wire, the somerzby mansion rabbit run protects your Rabbits from pests and predators. 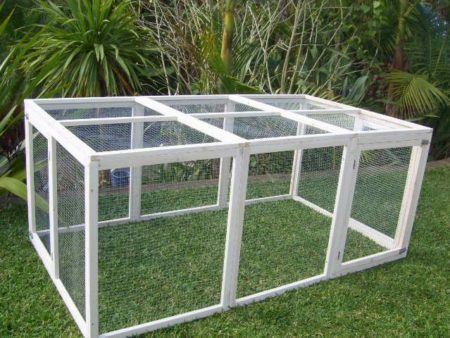 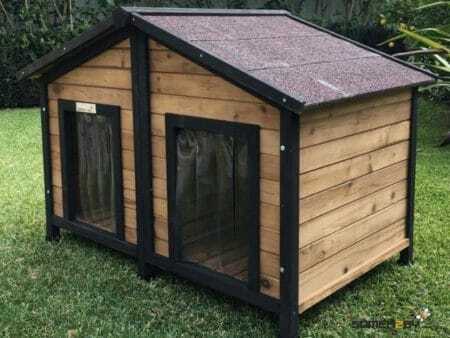 It is coated in a White non-toxic water based stain and features plenty of space for your bunnies to hop. 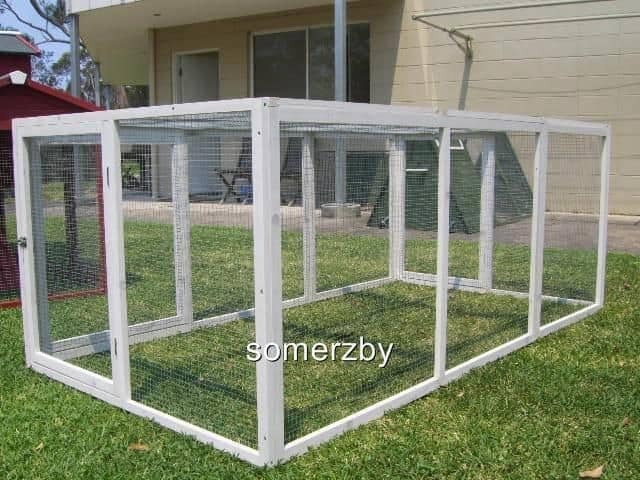 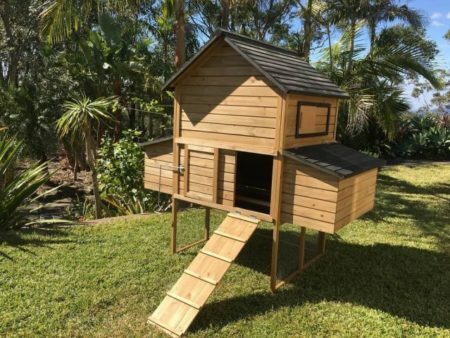 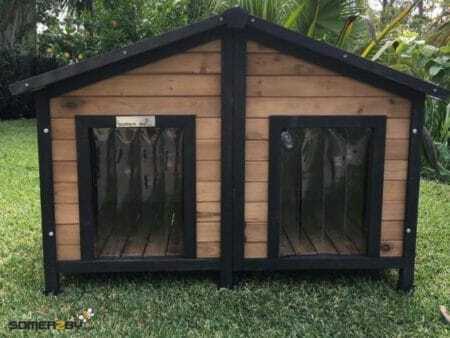 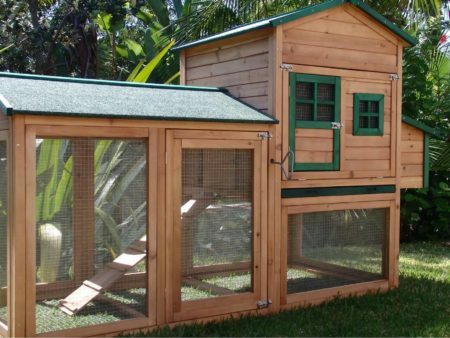 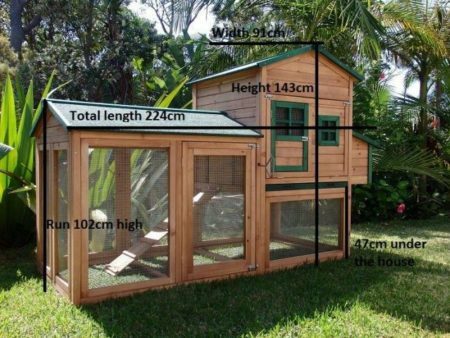 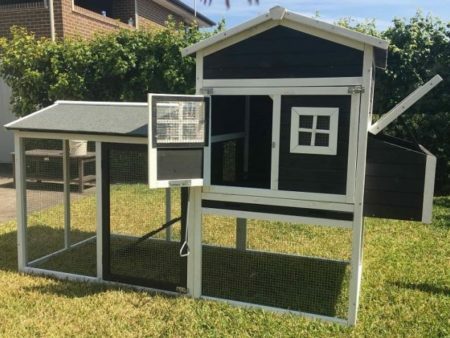 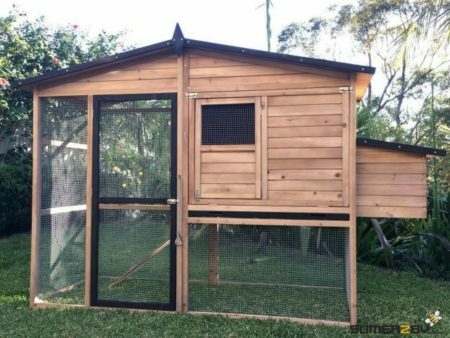 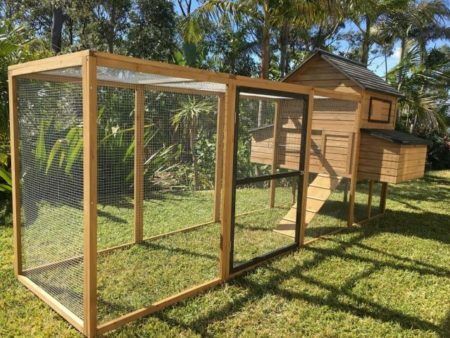 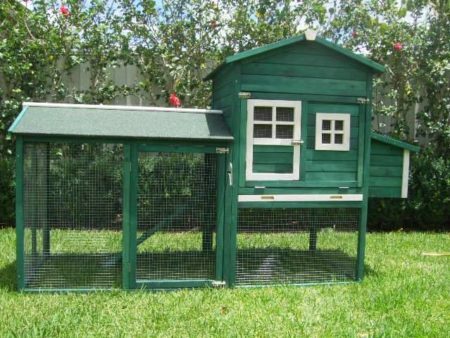 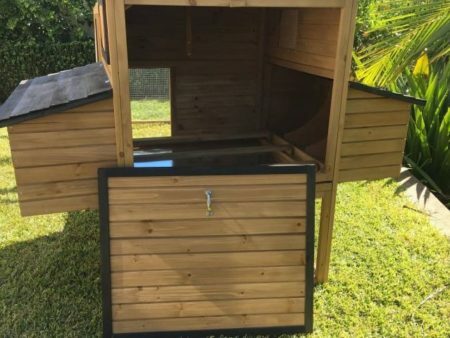 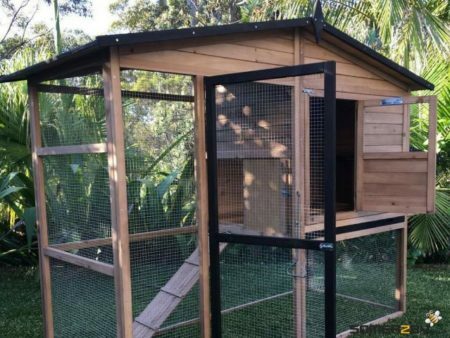 The Mansion large run can be used on it’s own, or- with it’s 3 doors can easily attaches to a coop, such as our Mansion or Deluxe Mansion rabbit hutch.